Can’t afford brand-new countertops? Extend the life of your existing countertops with these simple DIY tricks for repairing or refinishing them. Over time, kitchen counters begin to show their age. Everyday wear and tear can leave nicks and scratches that make the countertop look old and tired. Breathe new life into your worn countertops by repairing or refinishing them. Although repairs are rarely invisible, they can extend the life of countertops when replacement isn’t in the budget. Most minor fixes are suitable do-it-yourself projects, but major mishaps might require professional help. Laminate can be the most difficult surface to repair. Faded laminate can be brought back to life with an acrylic-based laminate refinishing product. Use a lint-free cloth to apply several coats, allowing each to dry before adding the next. For minor scratches or chips, fill the area with colored laminate repair paste (since you cannot sand laminate, add the paste slowly and don’t overfill). To repair peeling laminate, add contact cement between the layers and press into place. For more extensive damage, resurfacing or replacing the counter is likely the only solution. Remove coffee and tea stains with vinegar or a mix of baking soda and household cleaner. When granite loses its luster, bring back the shine by refinishing it with an acrylic coating designed for granite countertops. Use a lint-free brush to apply the product to a clean surface. Let dry, apply a second coat, and buff the dried surface to a shine. The coating, which lasts several years, protects the countertop from stains and minor damage. In the case of scratches or dings, fill the affected area with color-matching epoxy or resin from a home improvement store. When dry, sand and seal the surface. Cracks or chips larger than a small ice cube require more complicated repairs with powder or granite pieces and are best left to a professional. To wipe out wine stains, use a mix of flour and bleach. To remove oil, grease, bleach, or ink, try a paste made of flour and hydrogen peroxide. Although Corian and other resin-composite counters are known for durability, they can suffer damage. To refinish the entire countertop, clean the surface, wet the counter, and use coarse sandpaper in a circular motion to remove stains and scratches. Progressively move to finer-grit sandpapers until the surface is smooth. To repair larger chips or cracks, apply solid-surfacing filler, allow it to dry, then sand and buff. Serious gouges will require a professional’s touch or a replacement countertop. Refinishing ceramic tile involves repainting with enamel or epoxy, a tricky process that should be tackled only by a professional. For a DIY solution to scratches, try wiping them away with toothpaste. Fill cracks with epoxy glue and cover them using a matching oil-base paint. 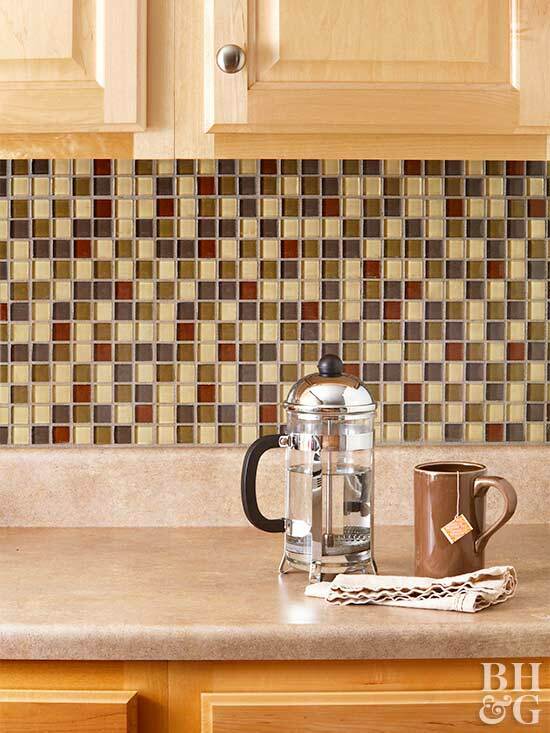 To repair major damage, cut through the grout with a grout saw, remove the affected tiles, and replace and regrout new tiles (this only works, of course, if you have extra tiles from when the counter was originally installed). Are you in need of a Chicago kitchen countertop refinishing expert? A Chicago tile refinishing expert?